The inscription translates as: By the water which thou hast cast upon me with thy hands I am made a stag and killed by my hounds. 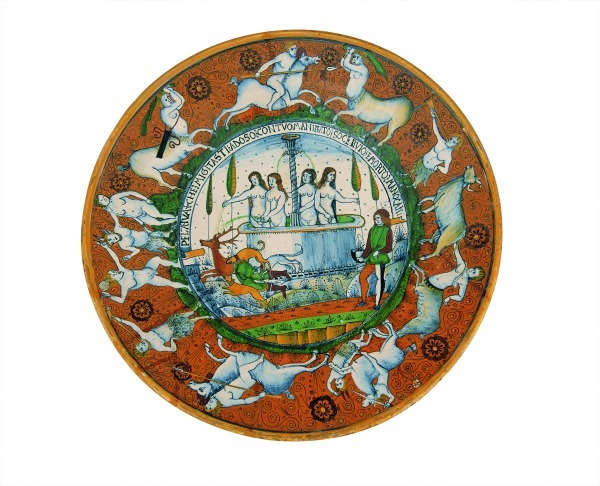 This magnificent dish is one of the world’s earliest and most remarkable maiolica dishes depicting a story. 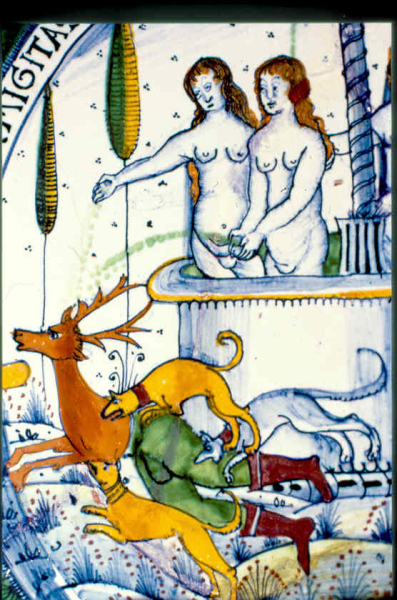 In the centre the hunter Actaeon is killed by his own hounds after being turned into a stag by the goddess Diana. Around the rim is the battle of the Lapiths and Centaurs.